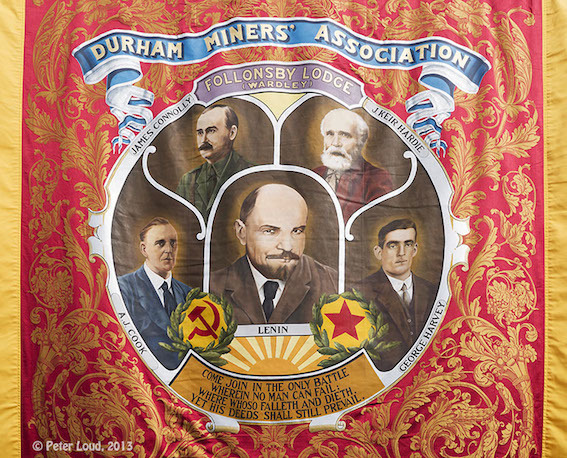 From its earliest years, the Durham Miners’ Association took a keen interest in political developments in Ireland. They were ardent supporters of the supporters of the Irish Land League-an organisation formed to fight for justice for peasants and tenant farmers against powerful Irish and British absentee landlords. The following extract is taken from an article by Robbie McVeigh, entitled Living the peace process in reverse: racist violence and British nationalism in Northern Ireland, in the current issue of Race & Class (Volume 56, April-June 2015, no. 4). Virtually the whole of the Left has ignored the broader implications of the new pan-unionist alliance (UKIP, Tory Right and Ulster unionists and loyalists), which is challenging the current British ruling class ‘New Unionist’ ‘devolution-all-round’ and Peace Process settlement from the Right. Robbie McVeigh, however, makes specific reference to the new political situation created in the aftermath of the Scottish independence referendum. In doing this he is connecting to the arguments made on this blog that have highlighted this. He specifically points to the history of British ruling class sponsorship of such reactionary forces, pointing out, not only several historical precedents, but the current collusion between the security forces in Northern Ireland and racist and bigoted unionism and loyalism, including its paramiltary manifestations. This extract is followed by links to other articles on this blog making similar connections. “It is important to remember that loyalism is a core component of British nationalism. This is an assessment of loyalism as a historical political formation, both as part of the politics of the British in Ireland and also of Britishness itself. It is anti-democratic ,racist, authoritarian populism. Moreover, it isn’t simply something belonging to the most reactionary elements of the Protestant working class in Northern Ireland, it is a British phenomenon. In other words, it isn’t rooted in the most lumpen elements of loyalist paramilitarism – although these provide useful allies – but in the most developed forms of British nationalism. Its genealogy can be traced to Randolph Churchill, with his cynical strategy of ‘playing the Orange Card’, through Lord Claude Hamilton to Enoch Powell; from the Curragh Mutiny to the Ulster Workers’ Strike. When the British Establishment rejects the consequences of formal democracy, this is what it looks like: a toxic cocktail of racism, sectarianism, anti-Catholicism, unionism, jingoism, militarism and paramilitarism. Bella caledonia posted an article by Richard Cameron (RCN and Edinburgh RIC) outlining the politics behind George Galloway’s Just Say Naw Scottish road tour (see http://bellacaledonia.org.uk/2014/02/03/just-say-naw-to-galloways-sectarian-british-unionism/). Given the short time to write this article a number of errors appeared, none of which affected the overall arguments presented. However, Richard has now had time to correct these and to add an addendum, What is meant by communalism? The amended article is posted below, with thanks to all those who contributed. With the Scottish independence referendum less than nine months away, George Galloway is bringing his ‘Just Say Naw’ roadshow to Edinburgh’s Assembly Rooms on Monday February 3rd. A seat costs £10 a head – nothing comes cheap where ‘Gorgeous George’ is involved! 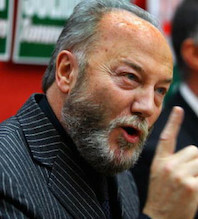 Galloway has been dining out on the Left for a long time since his triumph at the US Senate hearing, almost nine years ago, during the Iraq war. Whatever political differences others on the Left held then, we could all cheer his performance in front of such a smug, then thoroughly riled, bunch of war-mongering US politicians. However, since then, it has been all downhill for Galloway as a credible Left politician. His Westminster election victories, won on a Left populist mix of Islamic communalism and Old Labourism, leave nothing solid behind. 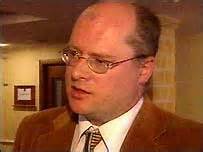 He only held the Bethnal Green and Bow seat from 2005 until 2010, and, in 2015, will almost certainly lose the Bradford West seat he won in the 2012 by-election. In Galloway’s own mind, this has no doubt been largely compensated by his financial gains for being an MP (albeit mostly absentee), from earlier substantial libel awards, from good earnings on the celebrity speaker circuit and, of course, from his cringe-worthy performance on Celebrity Big Brother.